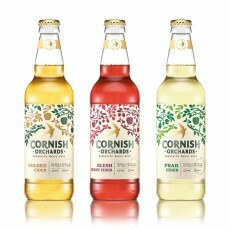 A trio of refreshing varieties from our fruity range of 500ml ciders: Blush (alc 4.0% vol), Gold (alc 5.0% vol) & Pear (alc 5.0% vol). 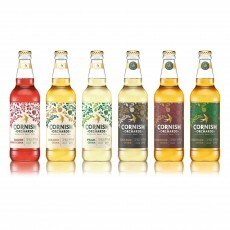 All Taste of the West Award Winners. 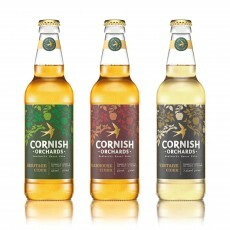 A trio of classic choices from our connoisseur range of 500ml ciders: Vintage (alc 7.2% vol), Heritage (alc 5.0% vol) and Farmhouse (alc 5.0% vol). 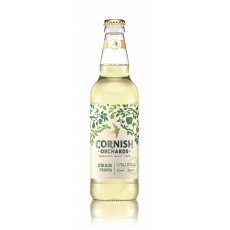 This immensely refreshing cider has a light, champagne sparkle, with fruity apple tones and a long dry finish. 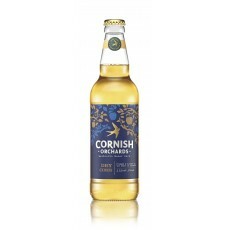 The creative blend of bittersweet and dessert apples impart this classic cider with body and crispness. Serve chilled as instant refreshment or enjoy with a hot bowl of pasta. 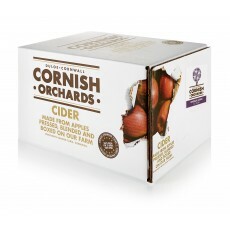 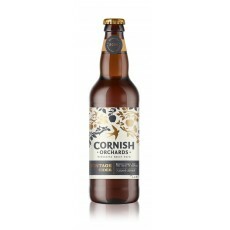 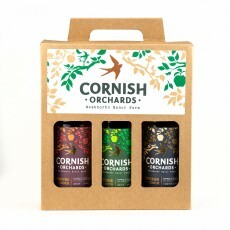 The gift pack also contains a Cornish Orchards Gold pint glass to complete the experience. 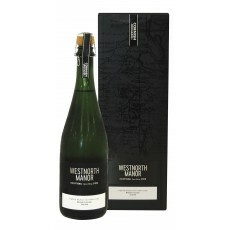 2 x 500ml, 1 x Glass (please note, this gift pack does not contain a bar towel as shown in the photograph). 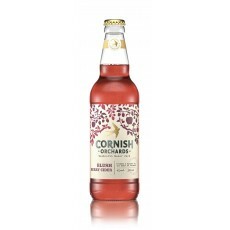 An exceptional, gently sparkling cider with the fruity aroma of fresh raspberries and a crisp, dessert apple finish. 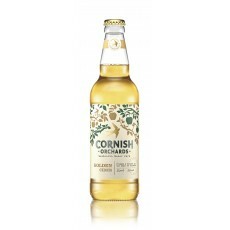 A fruity, well balanced cider. 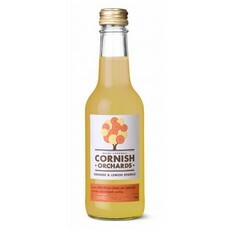 Serve lightly chilled for those long summer evenings or as a celebratory drink in champagne flutes. 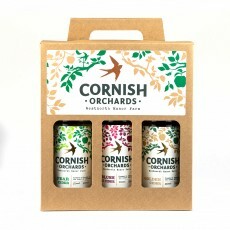 The gift pack contains two bottles of our delicious Blush and a new style Cornish Orchards Blush pint glass to complete the experience. alc 4.0% vol 12 x 500ml Inspired by the wild fruits and flowers in our Cornish Meadow, this is a delightfully refreshing, floral spring cider full of subtle Elderflower notes and hints of pear. 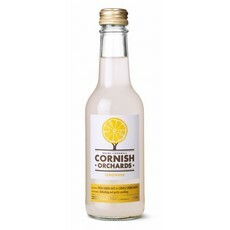 Its light sparkle makes it a perfect toasting alternative to champagne. 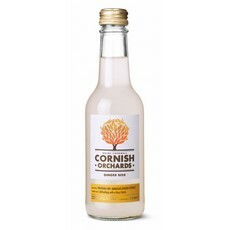 Tasting notes: Light, floral, fresh Serving suggestions: Serve chilled. 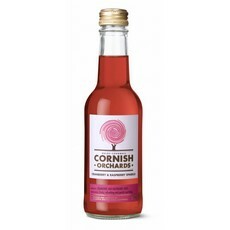 Can be served in a champage flute as a toasting alternative. 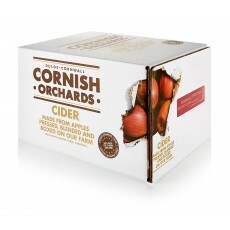 Pairs well with spicy food dishes especially Asian style foods.